Sunday, Maribeth Jennings, Bethany, and I performed “To The King” (written by my brother Jordan and I), and it went so smoothly. The recording below is a bit unbalanced, but live felt like great. It’s always an honor to have such talented and passionate musicians accompany me. 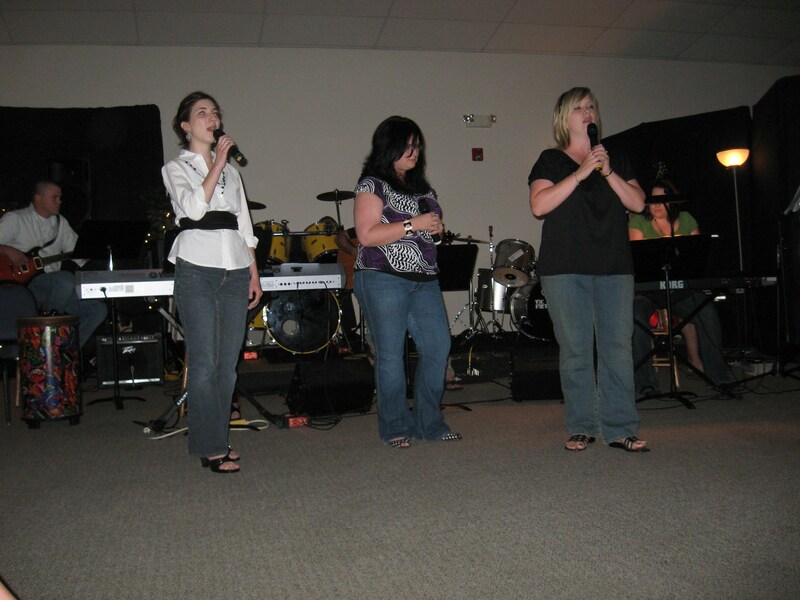 Bethany is a women’s trio at my church that have been singing together for about a year. These three ladies are fantastic! It’s always fun to hang out with them, serious or silly. Not only do they sing and harmonize like angels, they have become sweet friends. I’ve known two of them pretty much all of my life. Becca and Tara grew up with me…we were little kids together, chasing boys and participating in VBS. Now they are all grown up, so I guess I am too. Hard to believe. Doreen should have grown up with us, the way she mixes with the group. She did attend one of my alma maters (IWU)…. Today for Positive Post Tuesday, I wanted to highlight them and thank them for continuing to accommodate my musical quests. They will be featured artists as well as assisting me during worship at our CWC Women’s Ministry’s Retreat: BLESS YOU. Oh my gosh..one moe time. How absolutely beautiful. My granddaughter Trinity and I listened and loved it. Barb, you are so sweet. I am glad you and Trinity enjoyed it. To God be the glory!